On Wednesday, December 3, the Walker lost a good colleague and important past leader, former Performing Arts Coordinator and Curator Robert Stearns, to a short battle with cancer. He served the Walker from 1982 to 1988, producing a host of bold performing arts pieces that continue to be viewed as historic highlights. “Robert’s vision and leadership was reflected in the diverse programs across his six-year tenure. He spearheaded some of the most ambitious performance projects that the Walker has undertaken by leading edge artists of the time,” said current Performing Arts Senior Curator Philip Bither. Stearns came to the Walker by way of The Kitchen, the renowned New York City experimental arts space. As The Kitchen’s first director, he was instrumental in developing a downtown arts scene that would obliterate notions of “high” and “low” culture. 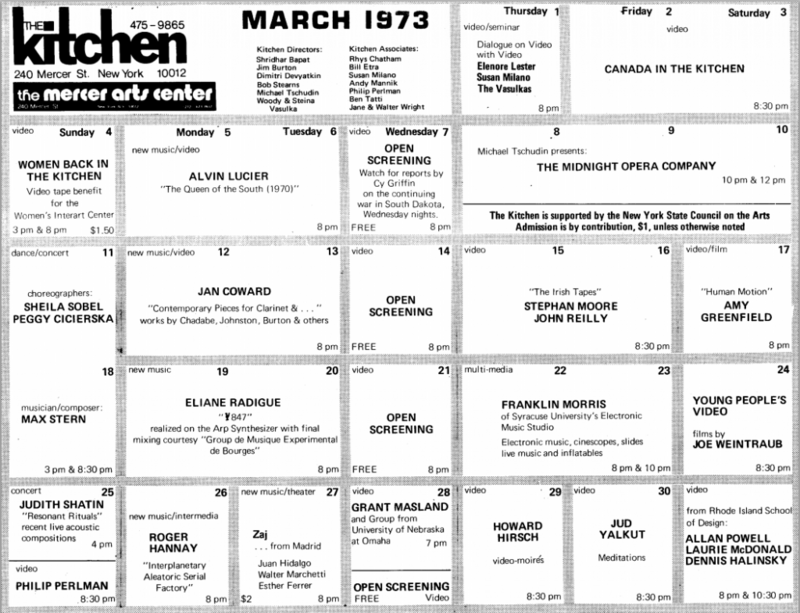 In a tenure that ran from from 1972 to 1977, Stearns helped bring artists like Robert Mapplethorpe, Eric Bogosian, the Talking Heads, Tony Conrad, and John Cage to perform in a kitchen in the back of the Mercer Arts Center and, later, a small space in SoHo. His time in New York seemed to endow him with a determined optimism. “There was just a sense you really couldn’t fail at anything, and therefore there was a sense of you could try almost anything,” Stearns told The Kitchen’s Oral History Project. After a brief stint as director of the Contemporary Arts Center in Cincinnati, Stearns landed at the Walker. His leadership of the Walker’s Performing Arts department led to an increase in artist residencies and commissioned pieces. Of these efforts, Stearns is possibly best remembered for producing the premiere of the Knee Plays, a celebrated collaboration between librettist-director Robert Wilson and composer David Byrne. the Knee Plays was a series of interludes of Wilson’s massive twelve-hour opera, the CIVIL warS: a tree is best measured when it is down, a six-part production that featured six separate mini-premieres in six countries around the world. 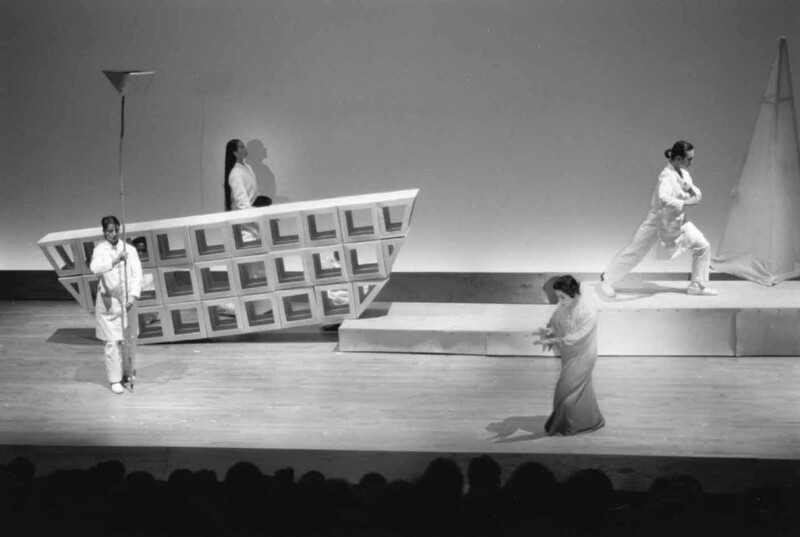 In 1984, Robert Stearns managed to secure for Minneapolis the US premiere, held in the then Walker Auditorium following a Walker commission and a nearly month-long developmental residency. Byrne’s score fused the influences of opera, Japanese Taiko drumming, and New Orleans brass bands. Stearns’ commissioning of the Knee Plays not only further established the prominent position of the Walker and the Twin Cities on the international arts scene, it also continued a tradition at the Walker of presenting unusual and visionary works that break down the boundaries of genre. Stearns’ term brought many more national and international triumphs to the Walker. In 1983, he commissioned The Gospel at Colonus, a hugely successful collaboration between experimental playwright Lee Breuer, composer Bob Telson, JD Steele and the Steele Family Singers, and gospel legends the Blind Boys of Alabama (including Sam Butler). This work was presented twice, first as a work-in-progress in the Walker Auditorium, and later in collaboration with the Guthrie. In 1987, he commissioned the first phase of what would later become playwright Matthew Maguire and guitarist-composer Glenn Branca’s brilliant operatic work, The Tower. Notable dance commissions of Stearns’s time at the Walker include Trisha Brown’s Lateral Pass (1985), which had its world premiere at Hamline University Theater; Merce Cunningham’s Fabrications (1987), the first of a series of three Cunningham commissions by the Walker, which premiered at Northrop Auditorium; and David Gordon’s United States (1988). 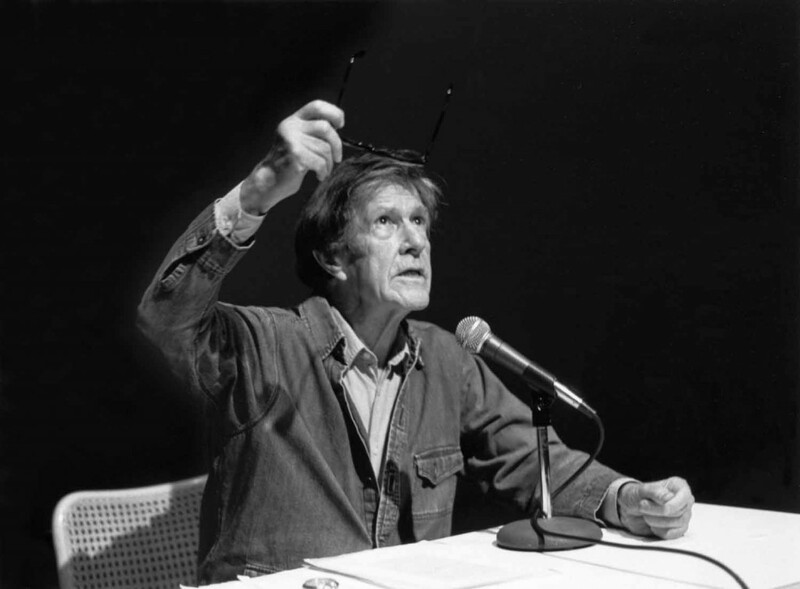 In addition, the Walker brought in a number of other vital artists during his tenure: William S. Burroughs, Fab 5 Freddy, Laurie Anderson, Christian Marclay, and John Cage all made trips to the Twin Cities during the Stearns years. Robert Stearns was responsible for presenting performing artists often left on the fringes to larger audiences. With former Walker film curator Melinda Ward, he helped develop the PBS program Alive From Off Center, which featured experimental performances and short films. He also helped lay the ground work for Out There, the annual festival that continues to showcase provocative theatrical performances to this day. Perhaps his greatest gift to the Twin Cities arts community was his unshakable faith in it. Stearns took chances on challenging works with the belief that the audiences would be there to engage with them, and he was right. 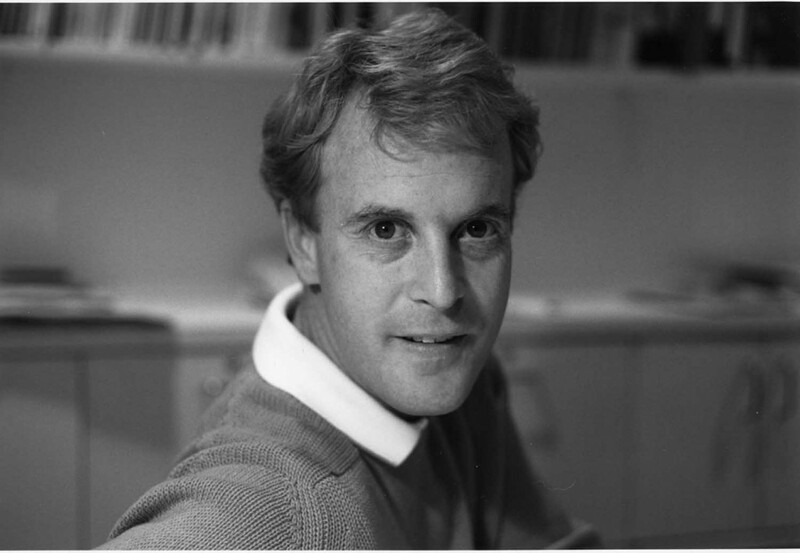 In 1988, he moved on to become the founding director of the Wexner Center for the Arts in Columbus, Ohio, an important multidisciplinary contemporary art center very much inspired by Stearns’s time at the Walker. Later, he spent six years as a senior program director and curator with Arts Midwest. In more recent years, Stearns established and was president of ArtsOasis in Palm Springs, California. Despite his relatively short tenure at the Walker, Stearns’s impact on our community has endured.